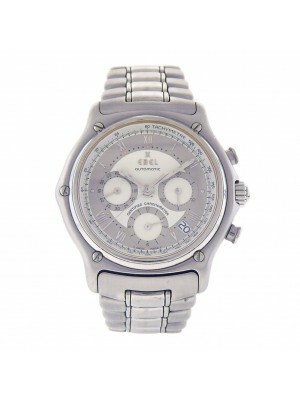 Buy premium pre-owned Swiss watches of high-end quality by Ebel. 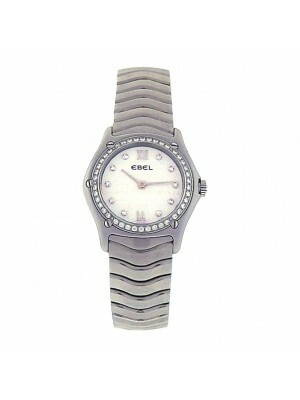 The Ebel company was established in 1911 by two creators – Alice Levy and Eugene Blum. The very name of this brand is very romantic because it is the acronym of the couple’s initials: EBEL = Eugene Blum et Levy. In this union, Eugene was a master of watchmaking industry, while Alice was responsible for the design of their high-quality timepieces. 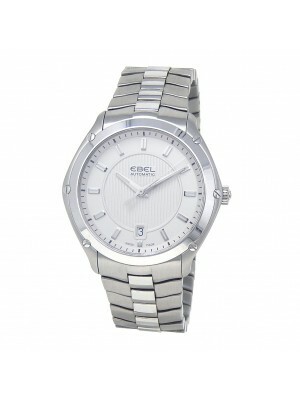 Nowadays, Ebel is known as one of the most popular Swiss brands all over the world. 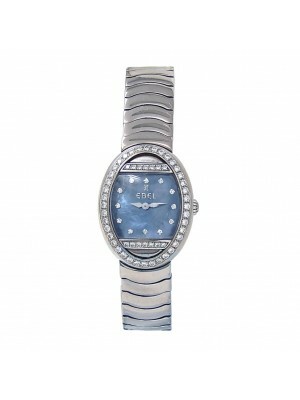 The Ebel company manufactures not only men’s watches but also timepieces for women. Many famous people prefer this very brand to others, for instance, a notorious model Gisele Bundchen was very proud to be the face of the Ebel brand in 2010. The modern model range of Ebel is represented by six collections: “La Maison Limited Edition,” “Ebel Wave,” “Beluga,” “Ebel Classic,” “Ebel Sport,” and “Ebel Brasilia.” “Beluga” is one of the most elegant series designed especially for women. The best hit of this collection was the “Chocolate” model; it allowed beautiful ladies to feel the real taste and smell of chocolate. 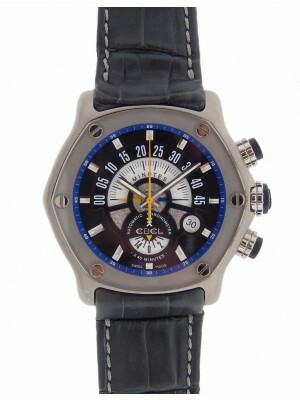 Another popular collection is “Ebel Sport” launched in 2010 became a real hit among the fans of Swiss watches. 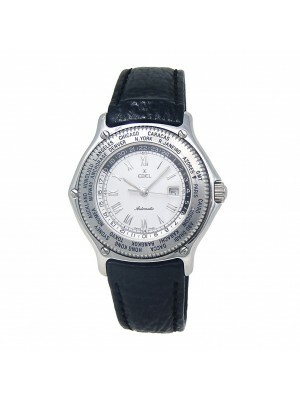 This set of watches includes both male and female timepieces. The main peculiarity of this collection is not only minimalism but also extensive durability because all models of this line have bracelets with empowered middle links. Another admirable collection, “Ebel Classic,” is based on the earliest set of watches launched in 1911, made to to bequeath admirable Swiss quality of the Ebel timepieces. The most luxurious and highly appreciated collection among all currently available ones is called the “La Maison Limited Edition.” The timepieces of this very set are so rare that even used Ebel watches of this collection are highly priced. 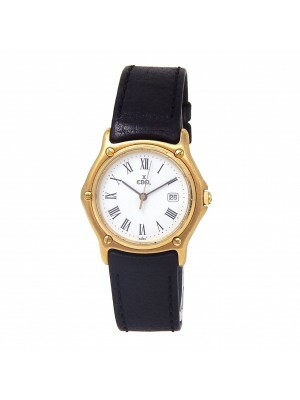 This collection includes only five models of watches, and all of them were created especially for ladies. The cases of these watches are made of 18k red, yellow, and white gold, equipped with white mother of pearl/galvanic dials having bezels encrusted with 72 little diamonds, and an exhibition back. All models of this collection have the following functions: a small seconds hand, a date calendar, and a moon-phase calendar. Each model was created in a 15-piece edition. 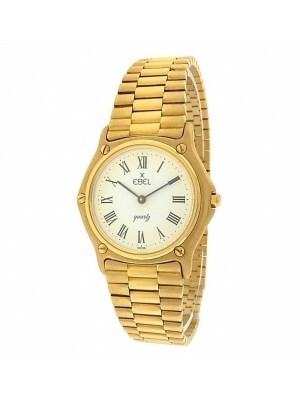 The “Ebel Brasilia” collection is considered one of the most elegant and modern ones among all available sets by Ebel. The hallmark of this very collection is a clean geometric pattern of each model. This collection is very small; it includes only three models. 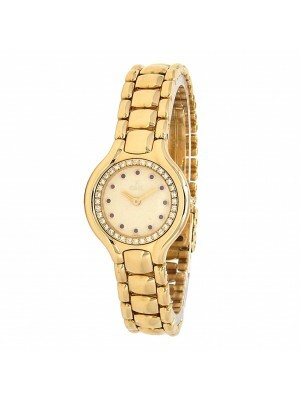 For instance, the most popular of them is the “Women Brasilia Mini” watch with a small 23.7 mm polished case made of stainless steel, having an integrated crown, and encrusted with 34 diamonds. Its white mother of pearl dial is decorated with Roman numerals at 6 and 12 o’clock, and encrusted with 10 diamond markers instead of other numerals. Polished curved bracelet links made of stainless steel soften the geometric dial. Certainly, such a combination of geometry and elegant style will be highly appreciated by connoisseurs of watchmaking art.